Campers have some great activities to choose from over the Labor Day weekend in the Ranchester area. Two of the most popular activities test the mettle of their participants. Johann Nield of Dayton hang glides high above the launch area at Sand Turn. 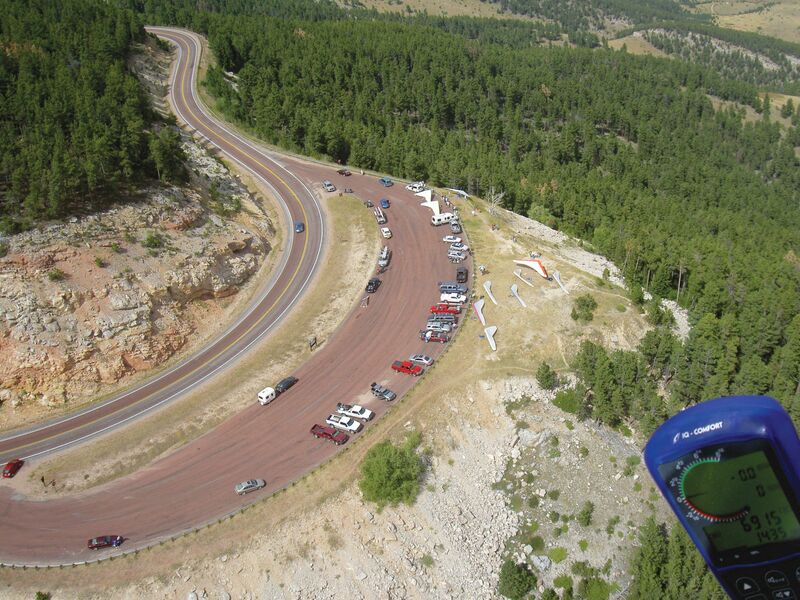 Hang gliders from across the nation converge on the Big Horn Mountains for the annual Hang Glider’s Fly-In. This area features spectacular views and some of the best thermals in the northern Rockies. The conditions around the launch point at Sand Turn allow aviators to climb upwards to 13,000 feet. Visitors may observe from the Sand Turn parking area. 2017 marks the 28th anniversary of the Don King Days open-field rodeo at the Big Horn Equestrian Center. Always held over Labor Day weekend, this grand celebration features a variety of events, such as championship steer roping, old style bronc riding, and polo. The best part is that all the fun is right in front of you on an open field. . . no arena fences or barriers!